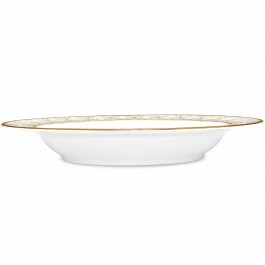 Noritake Bowl-Pasta, 11″, 30 oz. 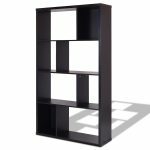 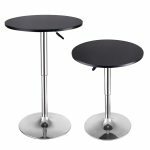 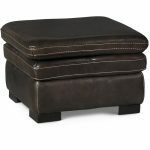 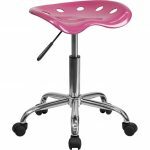 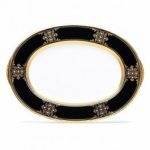 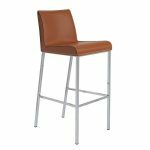 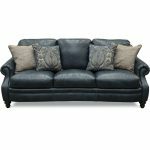 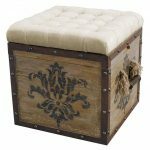 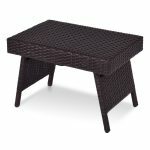 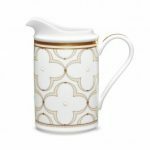 Trefolio Gold features a repeating stylized four-leaf-clover design, presented in multiple sizes on different pieces for maximum impact. 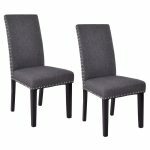 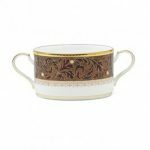 The larger presentation is punctuated with raised enamel dots. 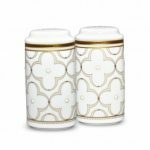 The soft coloration of white and cream paired with gold makes this pattern accessible and appropriate to pair with any style of decor. 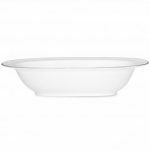 Noritake Bowl-Covered Vegetable, 67 oz. 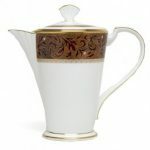 Noritake Coffee Server, 52 oz. 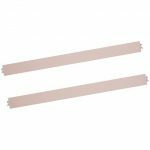 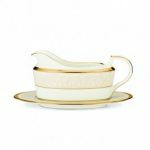 Noritake Sugar with Cover, 11 1/2 oz. 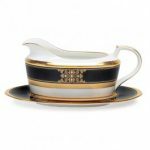 Noritake Gravy with Tray, 16 oz. 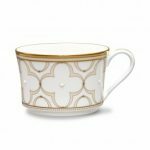 Noritake Cup, 7 1/2 oz. 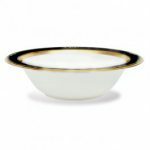 Noritake Bowl-Soup, 8 1/2″, 12 oz. 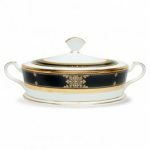 Noritake Xavier Gold Gravy with Tray, 16 oz. 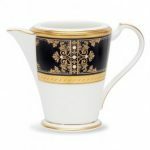 Noritake Xavier Gold Creamer, 8 1/2 oz. 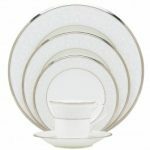 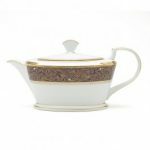 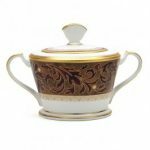 Noritake Xavier Gold Sugar with Cover, 12 oz. 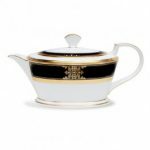 Noritake Xavier Gold Teapot, 40 oz. 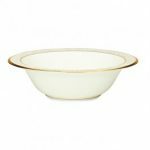 Noritake Xavier Gold Bowl-Large Round Vegetable, 9 3/4″, 32 oz. 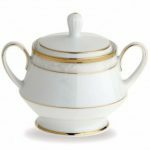 Noritake Xavier Gold Coffee Server, 48 oz. 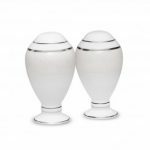 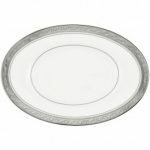 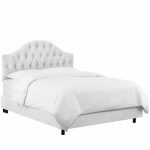 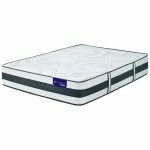 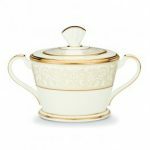 Noritake White Palace Sugar with Cover, 12 oz. 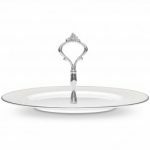 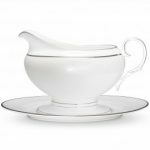 Noritake White Palace Gravy with Tray, 16 oz. 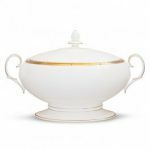 Noritake White Palace Bowl-Covered Vegetable, 64 oz. 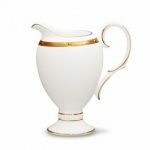 Noritake White Palace Creamer, 8 1/2 oz. 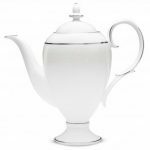 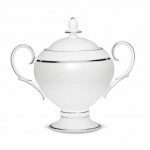 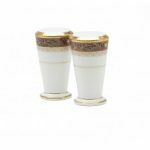 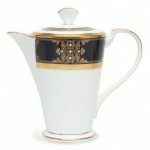 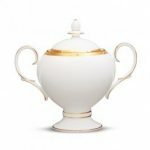 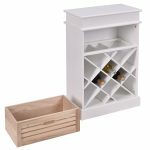 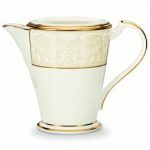 Noritake White Palace Coffee Server, 48 oz. 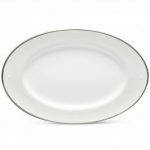 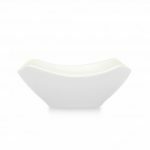 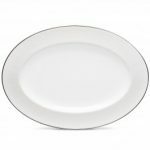 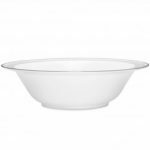 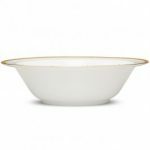 Noritake White Palace Bowl-Large Round Vegetable, 9 3/4″, 32 oz. 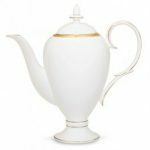 Noritake White Palace Teapot, 40 oz. 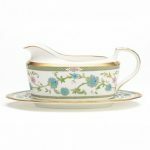 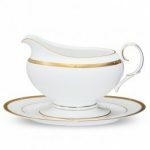 Noritake Evening Majesty Gravy with Tray, 16 oz. 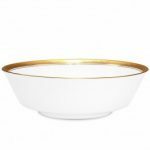 Noritake Evening Majesty Bowl-Covered Vegetable, 64 oz. 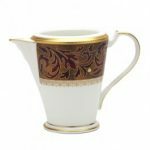 Noritake Evening Majesty Creamer, 8 1/2 oz. 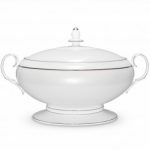 Noritake Evening Majesty Bowl-Large Round Vegetable, 9 3/4″, 32 oz. 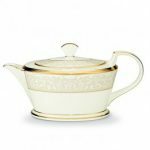 Noritake Evening Majesty Teapot, 40 oz. 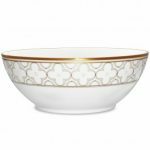 Noritake Rochelle Gold Bowl-Large Round Vegetable, 32 oz. 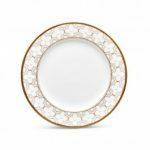 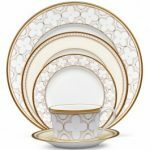 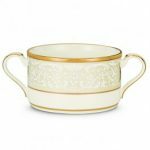 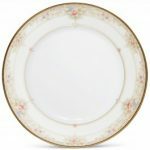 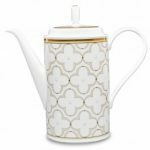 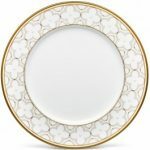 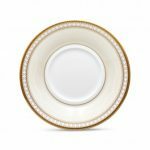 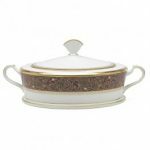 Noritake Rochelle Gold Sugar with Cover, 9 oz. 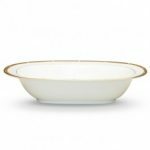 Noritake Rochelle Gold Bowl-Covered Vegetable, 70 oz. 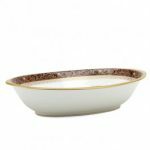 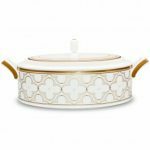 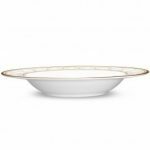 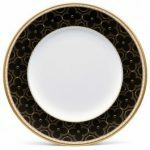 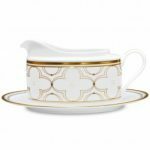 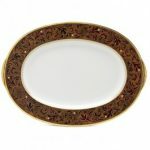 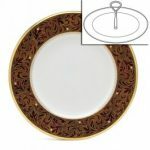 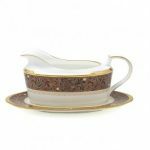 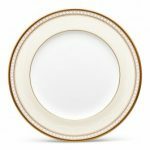 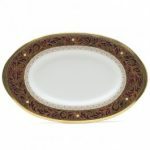 Noritake Rochelle Gold Gravy with Tray, 16 oz. 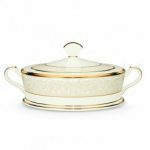 Noritake Rochelle Gold Bowl-Oval Vegetable, 24 oz. 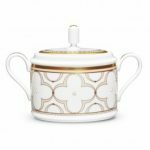 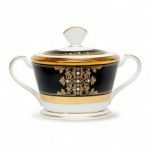 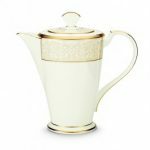 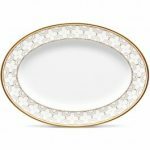 Noritake Rochelle Gold Coffee Server, 46 oz. 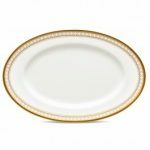 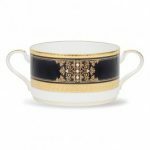 Noritake Hampshire Gold Sugar w/Cover, 10 oz.